Building a DVD player in cars seems a dangerous idea at first glance. After all, driving requires intensive concentration and a car has nothing to do with dim-light cinema halls or your comfy living room. But it seems that the number of accidents aren’t rising parallel with the growing popularity of these gadgets, and this can be put down to one reason: these gears actually tend to unburden drivers instead of diverting them so eventually they don’t become worse driver. If you have one or more kids, you must be familiar with ‘car-sickness’, when kids are hesitant to sit in the car before a long journey and later keep growling, yelling and bickering (according to their temperament) while you’re struggling to divide your attention between appeasing them and eyeing the road. But once they are allowed to watch their favourite films or even to play their most recent games, a majority of problems rooted in boredom vanish in the air. Nowadays, when the most affordable in-car DVD players cost less than $200, it’s worth considering obtaining one to test whether your kids (or other family members) react to it favourably. Here are some ideas and tips that might help you to make up your mind. This is the most popular variant, with the monitor attached to the roof in front of the back seats. It can be quite big (15”), and still does not make a big change in the car interior, as it occupies a “useless” place. Most of them are fitted with an SD/USB port, so the kids can bring their own files or games to occupy themselves with. Attaching the gear to the roof, however, can be tricky in some cases, so always ask about the options before ordering one of these. Installing a DVD player in the dashboard (in a box) is quite expensive, and contrary to the previous solution, not ideal for neither the driver, nor the passenger. While the driver’s attention is easily distracted from the road, kids in the backseats may find it difficult to concentrate on the screen that is quite far from them. It might look trendy, though, but poses extra security concern exactly because of this. 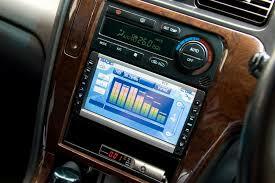 Its advantage is, though, that the screen can be used for navigation purposes as well. 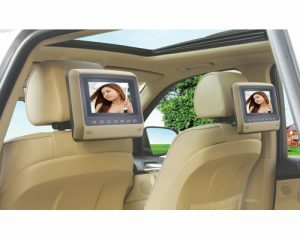 Placing the monitors at the back of the front seats’ headrests is also a widespread solution that allows for channelling two different films for the kids. In these appliances you’ll often find built-in games that kids can play individually. This version is probably the least disturbing to the driver, though the kids might use the touch screen sometimes. Although this is not so special, it still needs to be mentioned: you should check whether the DVD player you’re planning to buy is able to handle the file types of the movies you have. The screen’s ideal size depends on you, but you should always look for a high-resolution screen to ensure quality entertainment. As these gears work on battery, you should go for longer-time ones if you’re planning longer trips. 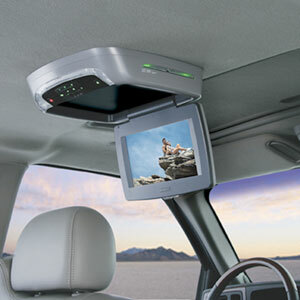 Multi-zone audio is a special feature that turns your DVD player into a mobile entertainment centre. While one kid is watching a film, another can play a game with the same device. Having a remote control for the gear is also useful because this way the driver can completely forget about the DVD player while driving.